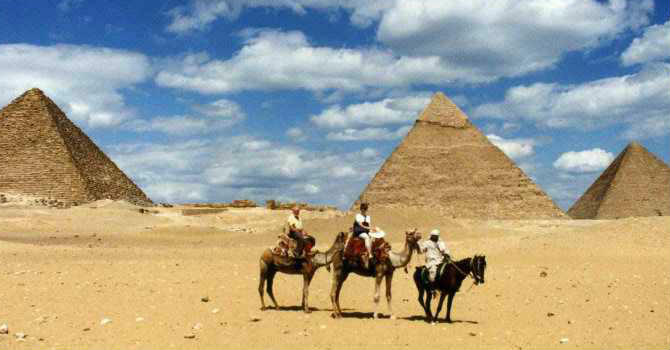 There is no holiday to Cairo is complete without visiting the Great Giza Pyramids and Sphinx. It is over 3,000 years of history and the top among over 100 pyramids in Egypt, Giza Pyramids are by far the top famous and the only remaining of the original 7 Wonders of the World. Your personal Egyptologist will give you detailed fascinating presentation to each of the 3 pyramids, you will also enjoy some free time to get inside one of these pyramids. Continue your visit to the plateau with a photo stop for the 3 pyramids rising from desert sands with Cairo outline in the background. A short transfer to the city side of Giza plateau then you find yourself standing at the feet of the great Sphinx the puzzling symbol of Egypt for thousands of years. It has the body of lion and king Chefren head and surrounded with many the unanswered questions. There will be a chance chance to stop in Papyrus Institute to learn how this ancient artwork is made. If you do not want to include this visit, just inform your guide on the day.